A superb example of the E-100 that was designed as a super heavy tank but never quite entered service despite the prototype chassis being complete by the end of WWII. 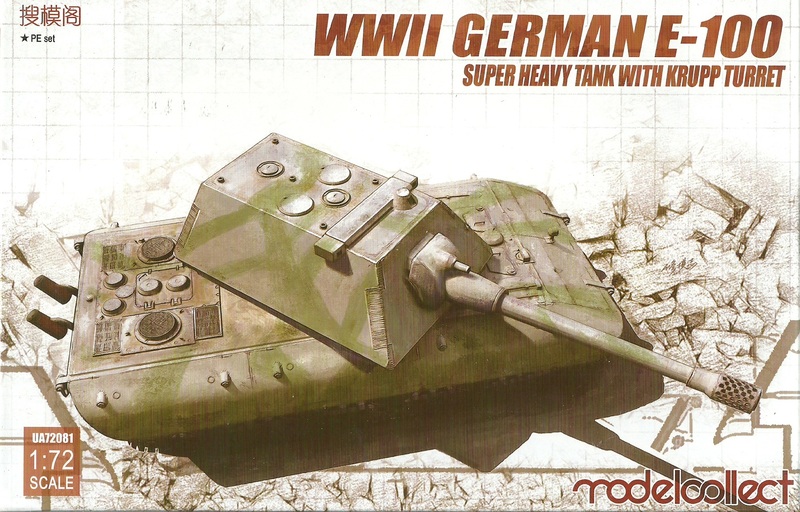 The original design was to use the upgraded Maus designed turret mounting a 150mm KwK 44 L/38. The E-100 weighed in around 140 tons and was to be powered by a HL234 engine producing 850hp. This variant substitutes the Maus turret for a Krupp designed turret. Includes decals and photo etched parts.